In 2015, Jason worked on an ERC-funded project called Ayuryog at the University of Vienna, for which he wrote an article on the shared terminology, praxis and theory of āyurveda and medieval yoga traditions. In September 2015, he began work on the Haṭhayoga project at SOAS London University where his focus is to edit and research manuscripts of Sanskrit yoga texts which were written on the eve of colonialism. Many of these texts provide a window into the Brahmanization of Haṭha- and Rājayoga and the proliferation of physical yoga techniques, some of which have become prominent in modern yoga, such as the practice of numerous āsana. 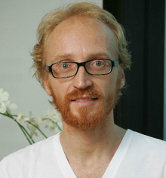 Jason has taught courses on the history of Rājayoga and Haṭhayoga at the Oxford Centre for Hindu Studies and the Masters of Arts in Yoga Studies at Loyola Marymount University, and currently teaches a course on the history of medieval yoga for SOAS’ Master of Arts in Traditions of Yoga and Meditation. He also shares the fruits of his research with practitioners of yoga by contributing modules to various yoga training courses in Europe, Asia and Australia. 2017 (forthcoming) – “The Proliferation of āsana in Late Mediaeval Yoga Traditions”, Yoga in Transformation: Historical and Contemporary Perspectives on a Global Phenomenon, Vandenhoeck & Ruprecht Unipress. 2013 – ‘The Amanaska: King of All Yogas: A Critical Edition and Annotated Translation with a Monographic Introduction.’ DPhil Thesis, Oxford. 2013 – ‘Rājayoga: The Reincarnations of the King of All Yogas’, The International Journal of Hindu Studies, 17, 3: 401–444. 2011 – ‘The Meaning of haṭha in Early Haṭhayoga’, The Journal of the American Oriental Society, 131.4.